These words were penned by the apostle Paul to the young man Timothy, but are equally important and binding to us today. For men to be successful preachers of God`s word and successful leaders of others they must first be a student of the scriptures. 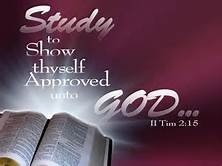 While this may seem rudimentary there is great depth that goes into being a student of God`s word. In order for us to be successful in teaching others we must first teach ourselves. It is interesting to note that the word student means: “any person who studies, investigates, or examines thoughtfully.” We must examine and investigate the word of God to see what it means. Would a math, history, science or english teacher be successful in teaching their pupils if they themselves didn`t take the time to study, learn, and teach themselves the things their students need to know. The obvious answer is a resounding NO. Then how could we expect anything different with one who desires to preach and teach the gospel of Christ which involves more reverence, honor, and is of greater importance than just the rudimentary things of life? ​Just as it is imperative that we as Christians be instant in season and out (2 Tim. 4:2) it is equally important that we teach ourselves what the Bible says. If we desire to be pleasing to God may we all seek to be students of the scriptures, teaching ourselves from God’s most wonderful Word. Acts 24:25, Felix says to Paul “. . . Go away for now; when I have a convenient time I will call for you.” Are good intentions good enough? If so, why would Felix have thought to say he would call Paul back? We live in a world where we have placed a higher emphasis on sincerity, than on truth. The attitude of the world, and fearfully, of some that wear the name of Christ, is that if our intentions are right, if we have a good motive, then our actions no matter how awful, are justified. But the end never justifies the means. Right is always right, even if everyone is against it, and wrong is always wrong, even if everyone is for it. We have to be careful as we go through life and face the many difficulties that come with good intentions. One of the greatest threats to us as Christians is the threat of good intentions becoming a substitute for actions. I intended to read my Bible! I intended to dress modestly! In the case of King Saul he may have intended to serve the Lord, and yet, 1 Samuel 15:24 tells another story: “I have sinned, for I have transgressed the commandment of the Lord and your words, because I feared the people and obeyed their voice.” Our good intentions can only take us so far before we must take action or be in sin. In the 18th century James Boswell said, “Hell is paved with good intentions.” Boswell’s quote is a summary of humans great ability not to follow through on what is right. James tells us: “Therefore, to him who knows to do good and does not do it, to him it is sin” (James 4:17). 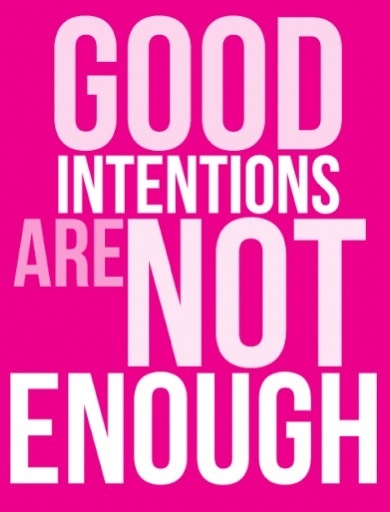 Good intentions are never a substitute for actions. This mindset only pushes away the truth and drives us further from God. It is always hard to admit our sins of inaction, especially when at first we had the greatest of intentions. Just like any sin will continue to grow as we do not correct our ways, as we continue to substitute actions for good intentions, the idea of what we can get away with grows and we start to use the excuse of good intentions to justify a wrong doing. In 1 Samuel 13, Saul of the tribe of Benjamin, with the best intentions went against the Lords decree and offered a burnt offering, something only the priest (Num. 3:10) were allowed to perform. Samuel then rebukes him saying there in 1 Samuel 13:13: “You have done foolishly. You have not kept the commandment of the Lord your God, which He commanded you.” Although we, like Samuel, at times might have good intentions, even the best intentions do not justify wrong doing to others and especially to God. Just read of Uzzah over in 1 Chronicles 13:9-12. But what are our intentions today? Are we planning on being the best Christian that has ever walked this earth? Do we plan to imitate Christ like never before? The time to put these intentions into action is now! Felix had the opportunity, and yet he told Paul to go away for a more convenient time. Felix may have sent Paul away with good intentions, but the time may have run out for him, just as it will for us. If we do not seize opportunity, God will shut the door (Gen 7:16; Matthew 25), and all those on the outside will be forever lost, no matter how great their intentions may be. 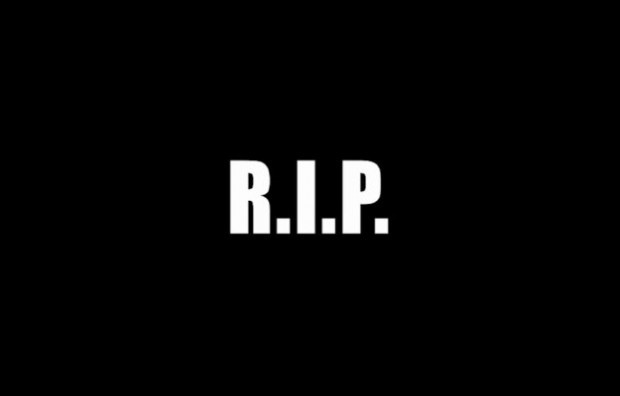 In recent years, we received news of several Hollywood and political celebrities whose lives came to sudden and tragic ends. Most recently, we were saddened at the death of comedian and actor, Robin Williams. Mr. Williams was a comedic genius and many of us, at times, enjoyed his endearing talents and qualities. He was, by many accounts, a kind, caring, and giving person donating his time to entertain troops serving abroad and investing in other philanthropic causes. It was also revealed that he quietly battled many ‘demons’ in his life, namely depression, which apparently led to his decision to take his own life. That battle is undoubtedly real for millions of people and they should be loved and helped at every opportunity. Suicide is never the answer for saint or sinner. As has been said many times: it is a permanent answer to a temporary problem. The purpose of this article is NOT to deny or belittle the reality of Mr. Williams’ struggles, nor to usurp God’s place as the judge of mankind. My purpose is to remind us of divine truths that are easily forgotten when emotions run high and personal opinions trump reality. It is in response to some of my Christian brothers and sisters who express their legitimate sympathies in an illegitimate way. importance of the gospel of our Lord and Savior Jesus Christ and is circumventing the judgment of God to which all are subject. Unrepentant lives of alcohol and drug use, sexual immorality (promiscuity, multiple marriages, etc.) all seem to be overlooked in these times. Faith in Jesus and obedience and faithfulness TO Jesus apparently are not considered factors in a person’s eternal fate, especially if that person is famous or well-liked. The Word of God beautifully pictures death as a repose for God’s children who have slipped from the cares of this world to a state of peace through death. The Psalmist longed to be released from his temporal troubles saying; “…that I had wings like a dove! for then would I fly away, and be at rest.” (Ps 55:6) When Job was stricken with such sorrow and loss, he saw death as a pleasant release from his turmoil. He said; “There the wicked cease from troubling; and there the weary be at rest.”( Job 3:17) The writer of Hebrews affirmed “There remaineth therefore a rest to the people of God.” (Heb 4:9) Paul is speaking of the rest we come to know in Christ Jesus upon our faith and obedience to the gospel. We rest from the human efforts to achieve salvation through the works of the Mosaic law and now, through grace, enjoy the benefits of Christ’s work upon the cross upon our obedient faith in Him. We therefore rest in Christ. For the person who entered that rest in this life, there is a sweet assurance of eternal rest and security in the arms of Jesus after physical death. This is the whole aim of the gospel – to reconcile us to God and prepare us to enter His holy and eternal presence! Please note, dear reader, Paul’s emphasis: “There remaineth therefore a rest TO THE PEOPLE OF GOD.” Though all men are God’s creation, the designation “people of God” is always used in scripture to delineate those who are separated from the world and consecrated to the Father in a covenant relationship. That relationship by physical birth through Abraham in the Old Testament; it is now gained by the NEW BIRTH through Christ. (John 3:3-5) This wonderful re- birth into Christ’s kingdom involves water and the Spirit – regeneration through the revelatory work of God’s Spirit that takes place in water baptism for the remission of sins. (Rom 6:3-5, 17; Acts 2:38; Acts 22:16; Col 2:11-13) Rest from sin and from the futility of self-justification in this life are found only in Christ Jesus. ETERNAL rest and peace are also ONLY in Christ. “And I heard a voice from heaven saying unto me, Write, Blessed are the dead which die in the Lord from henceforth: Yea, saith the Spirit, that they may rest from their labours; and their works do follow them.” (Rev 14:13) Note that the blessed dead are those who “DIE IN THE LORD”. In Galatians 3:27, Paul plainly affirms that baptism of the penitent believer is the step that places us “into Christ” or into the Lord. Revelation 2:10 reminds us that we must be “faithful unto death” or faithful to even the extent of death and in death in order to receive the “crown of life”. In Luke the 16th chapter, Jesus lifted back the mysterious veil of death and He allowed us to gaze into that world beyond. He showed us two men who represent the only two kinds of people who live on earth: those who are saved in Christ and those who are lost. Lazarus was a man who had little fare belonging to this life but had prepared for eternity. The other was a rich man whose life consisted of material things and pursuits. We don’t know that he was wicked by our misguided estimation of wickedness but it is clear that he was an unbelieving, unrepentant, disobedient sinner in God’s sight. Jesus could not have been more plainly spoken when He said; “And it came to pass, that the beggar died, and was carried by the angels into Abraham’s bosom: the rich man also died, and was buried; And in hell he lift up his eyes, being in torments…” Luke 16:22-23. Lazarus was “resting in peace” whereas the rich, but spiritually bankrupt, man was experiencing anything but rest or peace. I take no pleasure in these haunting words. Though it is a thrilling thought that good will ultimately triumph over evil, the sad fact is many spiritually careless people who lived their lives in sin and indifference to Jesus Christ, His church, and His word will not be saved, but will spend eternity being tormented as a result of their choice. Heartbreaking but true! If Jesus pronounced such a fate for this rich man long ago, what gives us the authority to say that one who has never obeyed the gospel, was thus not a member of Christ’s church, and by all indications did not live a life faithful to Jesus, is resting in peace. Please think carefully about what you say and post for a world lost in sin to see! Jesus died an awful death of blood and agony on Calvary so the lost could be reconciled to God. Justifying and giving false hope to the worldly sinner who is outside of Christ (Prov 17:15) cheapens the sacrifice of our Lord who suffered so that we might have a way to God through Him and thus, truly REST IN PEACE. May the Lord help us all to be ever- conscious of our appointment with the pale rider and live our lives in faith and obedience so that we might rejoice in the repose of death and rest in His eternal love. ​In Luke chapter 13 verse 3, Jesus says, I tell you, Nay: but, except ye repent, ye shall all likewise perish. There are a couple of key words in this verse that need to be noticed. The word repent is used as a verb here in this passage and it means to feel such sorrow for sin or fault to be disposed to change one’s life for the better. 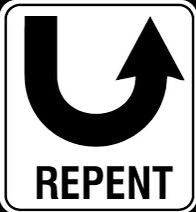 The key action involved in repentance is a change as outlined in the definition of the word and the Biblical definition of the word repent gives the same meaning. When one commits sin, one of the steps to forgiveness for that person is repentance. It is perhaps the most important step in the process of being forgiven for sins we have committed and also in the gospel plan of salvation. True repentance cannot be attained if someone only feels bad about the sin they have committed. It’s that feeling of deep contrition that should drive that person to action as when the word repent is used in verb form. The action implied here is change. A person feels so bad about the sin they have committed that the feeling of deep contrition in that person’s heart drives them to action. A person wants to change from their sinful way of living to begin leading a life of righteousness. When someone makes this complete turn around in their life, they have truly repented. This can be further illustrated in Acts 2 on the day of Pentecost. Upon hearing Peter’s sermon, verse 37 explains that those who heard and understood what Peter taught were pricked in their hearts—the bad feeling for sin committed. Verse 38 outlines the action they should take. Then Peter said unto them, Repent, and be baptized every one of you in the name of Jesus Christ for the remission of sins, and ye shall receive the gift of the Holy Ghost. What we can gather from this is that repentance is a step in the gospel plan of salvation as well as a step that must be taken when a Christian commits sin. Bible repentance must be done fully, which means change must occur in the Christian’s life. One thing that I run in to about every single day of my life is the influence of hanging with the wrong crowd. I love to play sports, and I play football and baseball, so every single day, I am tempted to hang out with some of my buddies after practice or something like that. Even though I really do want to be the cool guy and go with them wherever they go, I know that deep down I cannot do it because everybody knows that who you hang around is who you become. 1 Corinthians 15:33 Be not deceived: evil communications corrupt good manners. One thing that I have found out is even if you do go with them and hang out, it’s not even fun. You cannot possibly enjoy it because deep down you know that you should not be there. Just think about this: what if you were with some people that you shouldn’t be with or doing something you shouldn’t be doing and the Lord came back? I’d say that would be a bad spot to be in. You may say you’re just going to hang out with them but not participate if they begin doing something wrong such as drinking, but don’t kid yourself, it won’t be long before you start doing what they are doing, saying what they are saying, drinking what they are drinking, smoking what they are smoking, and thinking like they are thinking. Before long, you will just be one of them. Once you become one of them, you no longer have any Christian influence, and you will not be that guy or girl who is different from all the other folks at your school or job. We all know deep down that even though it’s sometimes uncool and uncomfortable to be different, one day, it will be all worth it. Rev. 2:10 Be thou faithful unto death, and I will give thee a crown of life. Does Jesus’ Church Need Remodeling? Because the power of God does not rest in man’s wisdom but in the gospel (Romans 1:16), in elevating their own rule book, they’ve unplugged all power lines connecting them to God. 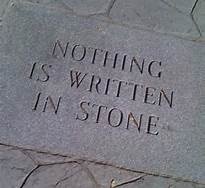 But not only that; they also willingly choose to place their faith in a counterfeit book written by uninspired men, while passing over the book that contains the words that will determine where their eternity is spent (John 12:48). Jesus doesn’t want man to be uninformed when it comes to his teachings. He told his disciples in Matthew 15:14, “…if the blind lead the blind, both will fall into the ditch.” If we are not acquainted with “the faith that was once delivered to the saints (Jude 3),” how could we “contend” for it? Do we care about that faith or do we like our own faith better? Jesus has already built his church. 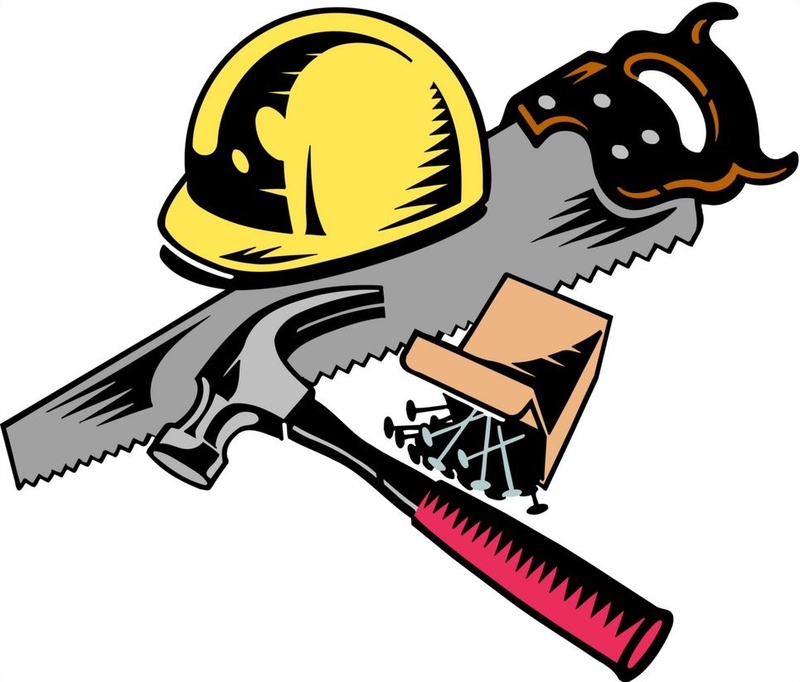 Who are we to act as if we have the authority to renovate? The bottom line is, you and I will not make it into heaven by accident. Those who are saved will be saved because they studied and obeyed the word that was given by inspiration of God–something that no man-made rule book can do. The word of God has every instruction needed to make man complete (2 Timothy 3:16-17); why settle for a document that can do anything less for you than that? Your soul is too valuable. This month’s article continues the tale of the false doctrine: relativism. As a disclaimer, this article uses the phrase “Christian” quite loosely, as this is how the world uses the term. However, a Christian is one who has been baptized into Christ and follows Him faithfully (Acts 11:26). One would not come to this definition by viewing the lives of the popular parenthetical “Christian” today. But as such acclaimed Christians would say, “That’s just relative,” or is it? Jesus said, “Sanctify them by your truth, your word is truth,” (John 17:17). According to Jesus there actually is absolute truth, and so the discussion continues. Relativism is not only good for a laugh, but slap the theory in the face and suddenly everything is no longer relative. In other words, the relativist says there is no standard right or wrong. Everything is supposedely relative from person to person. Now slap that person across the face (obviously not in reality) and all of the sudden you are absolutely and positively wrong on every single moral standard man every created. This point is very well illustrated by the words of former president Ronald Reagan who said, “I have noticed that all those in favor of abortion have already been born.” This means, stuff every relativistic minded, pro-choice advocate back in the womb, dissolve their fetal existance with a pill, and then listen to them cry out a charge of murder. All these examples expose the roots of relativism, and that is hypocrisy. Hypocrisy like that unto the kind Jesus exposed of the Pharisees in John 8:3-9 when they brought an adulteress to him for stoning. The problem was they were every one guilty of adultery as well.